Thrilled to be showing you two of the four new shades from Dior Sparkling Shine Collection hitting Dior counters and Dior.com this month!! This collection features polishes with gorgeous shimmer. I also have one of the four new corresponding Addict Gloss shades to show you. 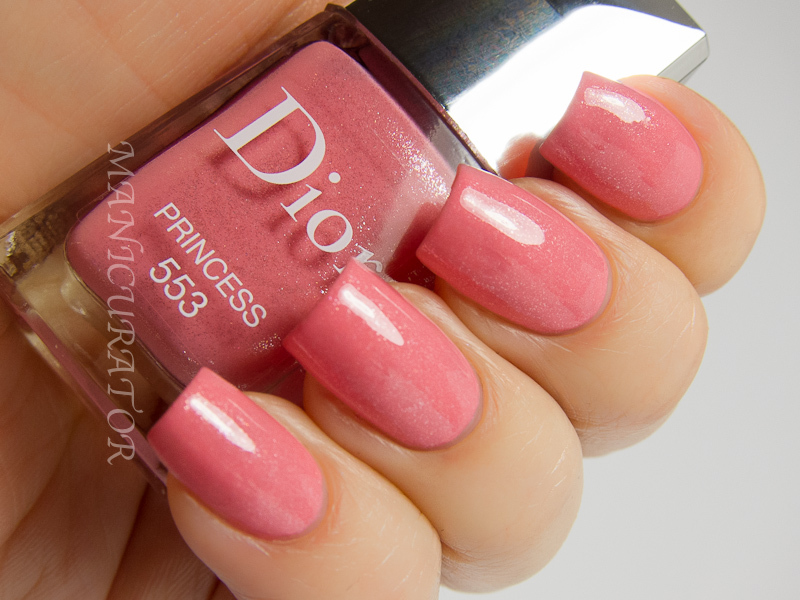 The full set consists of Princess #553, Delice # 433, Spring Ball #343 and Diablotine #643. You'll see the first two in this post. 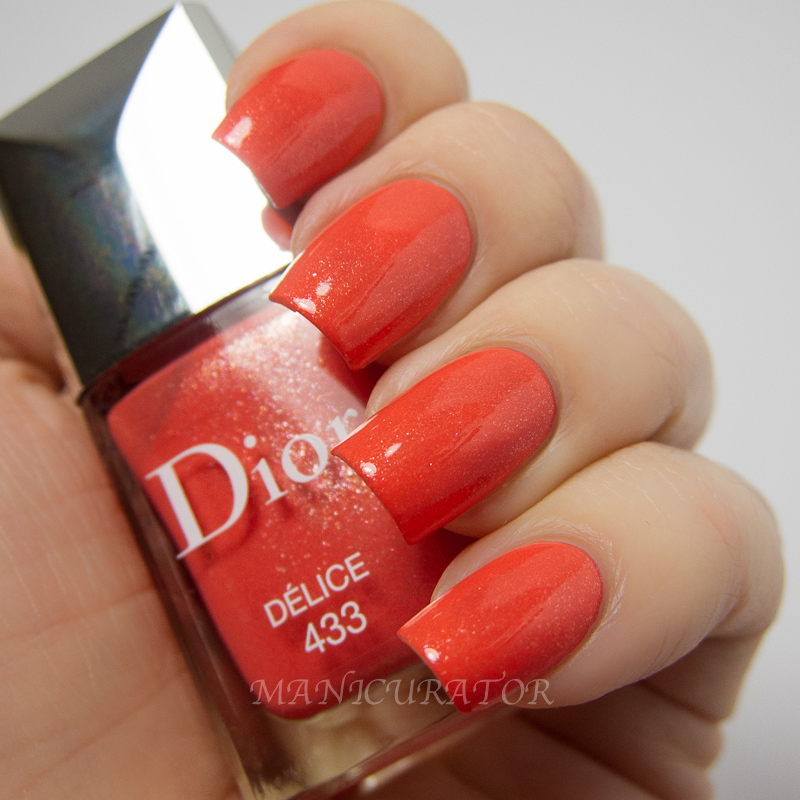 Dior Addict Delice is a light orange with gorgeous sparkle flecks that shine pink, orange, yellow and more. Super moisturizing and easy to apply. Non sticky and long lasting as far as gloss goes. I'm a huge fan of Dior Addict Gloss. 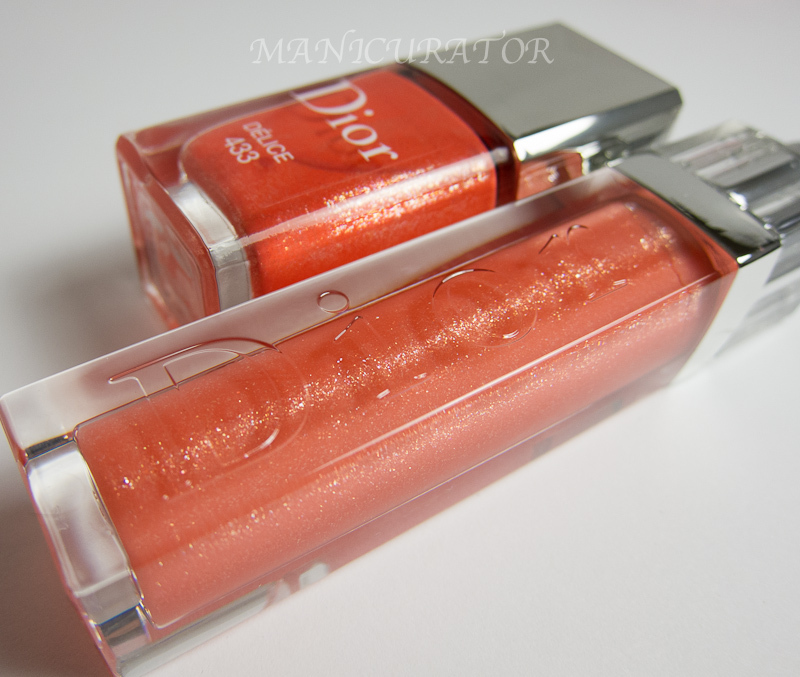 Dior Vernis Delice proved to be difficult to photograph! It showed up way too red in all my photos, so if my skin color looks off, it's because I did some color adjusting to show Delice as accurately as I could. 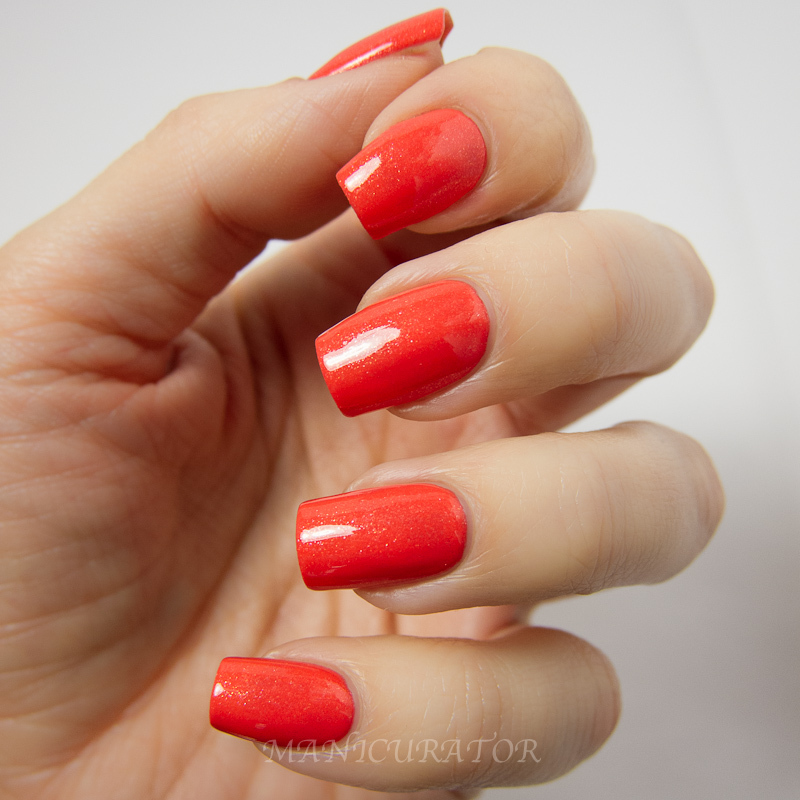 I shoot with a daylight bulb and compare my photos to how the polish looks under the daylight bulb. If I ever need to color adjust the photo to match the real life version, I will always let you know. 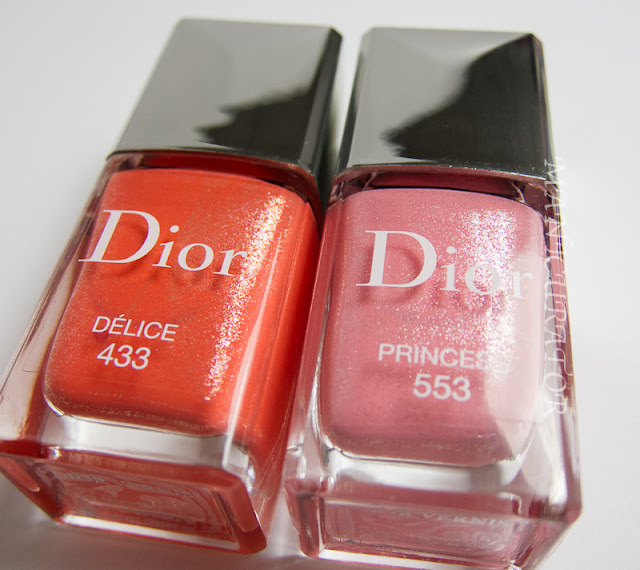 Both swatches are with Dior Ridge Filler base coat, which I love. 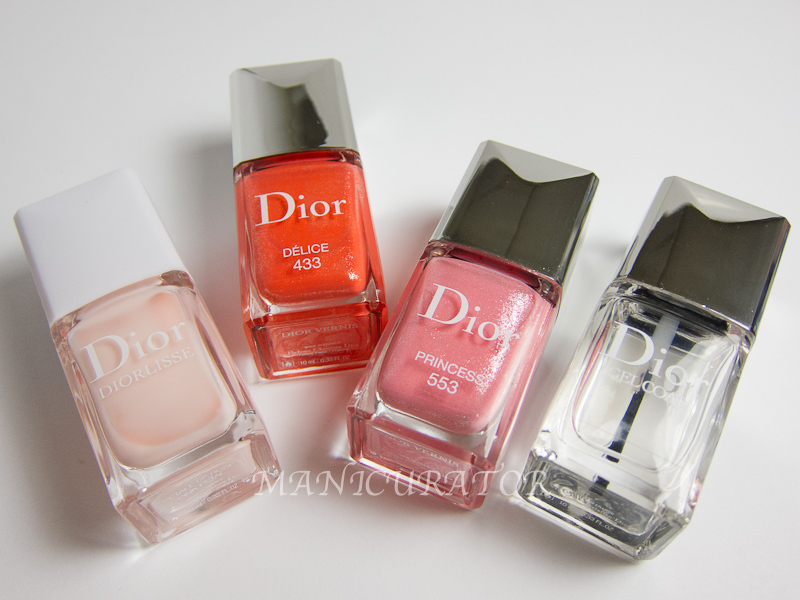 And Dior Gel top coat. Which, yeah, surprise, I also love. The base coat works perfectly to smooth any imperfections in the nail and brighten a slightly stained nail. The Gel coat goes on effortlessly, leaves a high shine and dries quickly. What's not to like? I used two coats of Dior Delice for full opacity. This formula is on the thicker side but not too thick and goes just where you want it. Use a light hand for your second coat as it tends to show brush steaks if you press too hard. Under my daylight bulb Delice is a dark orange coral with pink, gold, silver and maybe even green shimmer. When I went into the kitchen though and saw it under my kitchen lights..lighter and more orange. I did my absolute best to make these photos show the true color, and in my opinion the photo below is the most accurate. I see these colors as a bright introduction to Spring and being absolutely perfect Summer shades as well. In fact, I see a Delice pedicure in my near future! And I can't wait to pick up more Dior Addict Gloss. I just might HAVE to have the whole set. I am most definitely a gloss addict. Which is (are) your fave(s)? Delice really speaks to me though it is orange, it looks so juicy! Like a cocktail! Dior desire! Direct to my want list! Princess reminds me of Opi pedal faster suzi, maybe the Dior is a slightly warmer pink.